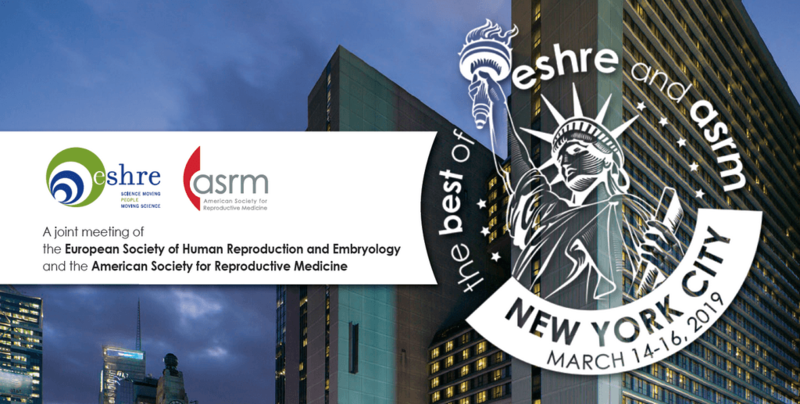 Recently (March 14th to 16th) we have had the opportunity to take part in the last joint meeting organized by the European Society of Human Reproduction and Embriology (ESHRE) and the American Society of Reproductive Medicine (ASRM) hold in NYC. Different topics have been discussed and compared between faculty from Europe and America. Regarding the proposed debates I found very useful the discussion on whether freeze only policy should be applied or not among our patients. The policy at our center (Reproducción Bilbao) is to freeze embryos both in cases of risk of ovarian hyperstimulation syndrome and in those situations in which a biopsy of developed blastocysts has been proposed to patients. The embryo selection by the development of blastocysts and the genetic screening to discard embryos showing an aneuploidy gives the highest chance of ongoing pregnancy per transfer, thus reducing the stress associated to assisted reproduction treatments. Furthermore, once an embryo has been selected a genetic evaluation of the endometrium might improve even more the success rate, as shown by Carlos Simón (igenomix) in one of the debates of the meeting. Also, various cutting-edge lectures were presented including the use of stem cells in reproduction, current status of in vitro growth of human primordial follicles and the feasibility (and associated risks) of germline editing. In summary, a very interesting update not only in assisted reproduction but in the future of human reproduction as a whole.